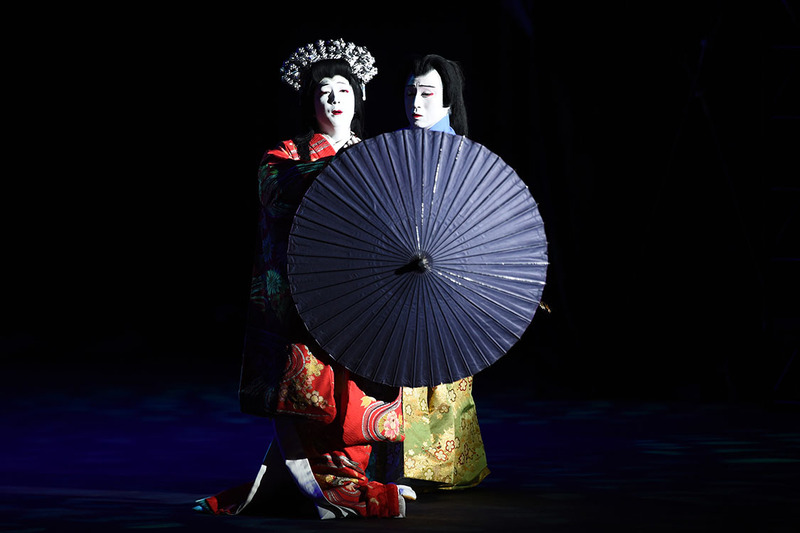 LAS VEGAS — The traditional Japanese art form of Kabuki debuted on the Las Vegas Strip tonight in a never-before-seen spectacle at Bellagio that will run Aug. 14-16. 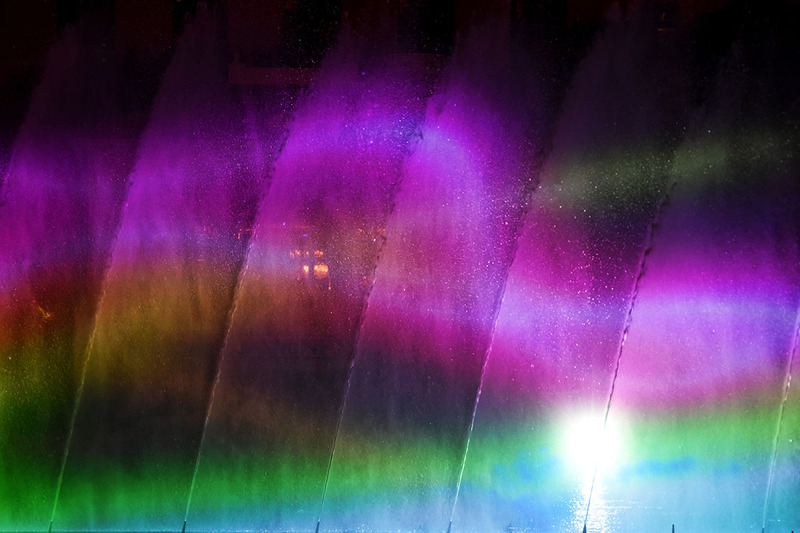 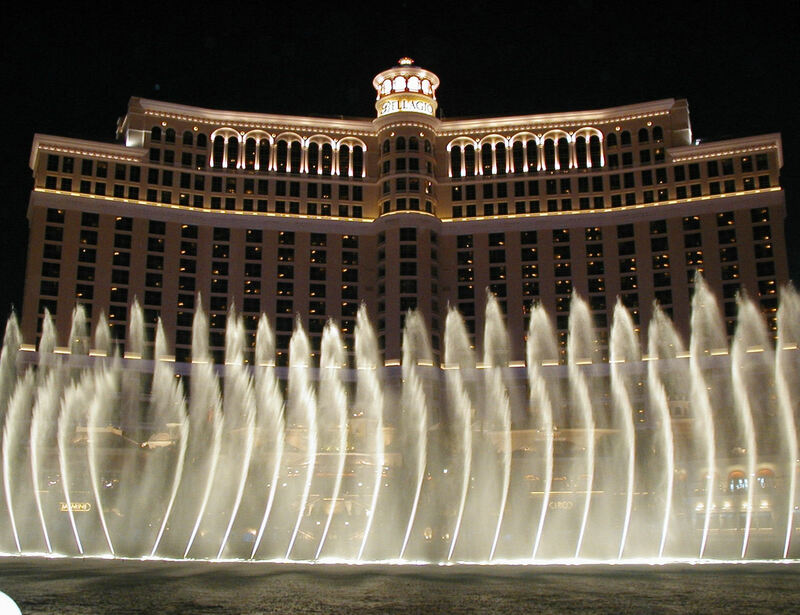 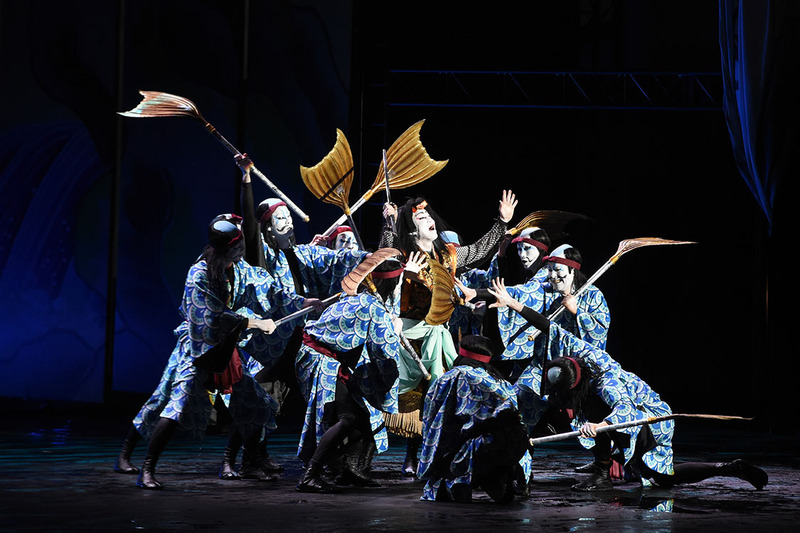 Larger-than-life animations and stunning water choreography will deliver an extraordinary rendition of Kabuki masterpiece Koi-Tsukami, or “Fight with a Carp,” as an enormous fish and turbulent sea are projected onto the Fountains of Bellagio in an epic battle scene. 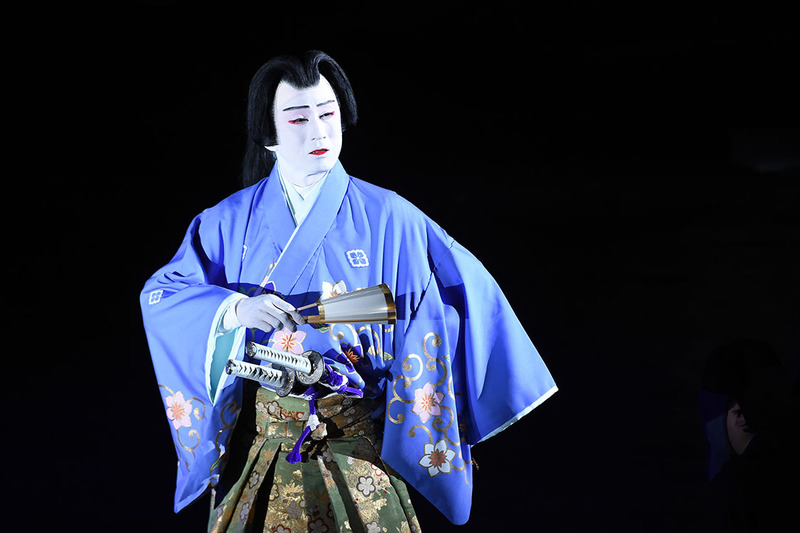 The full Kabuki Spectacle performance schedule is as follows: August 14: 9:15 p.m.; August 15: 9:15 p.m. and 11:30 p.m.; August 16: 9:15 p.m. and 11:30 p.m. 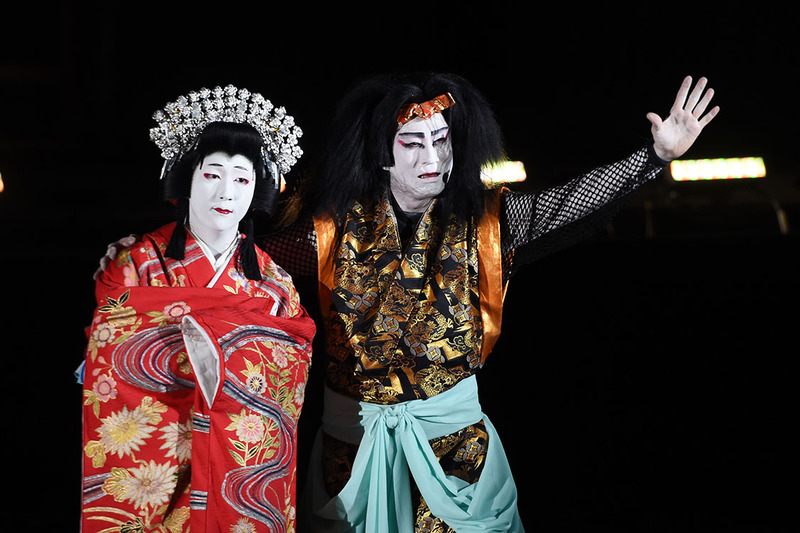 In a classic tale of good versus evil, renowned Japanese actor Ichikawa Somegoro will play a handsome samurai who falls in love with a beautiful maiden – depicted by fellow Kabuki actor Nakamura Yonekichi – only to discover she is actually a giant carp’s spirit taking the form of a woman to seek revenge against humans for killing her carp lover. 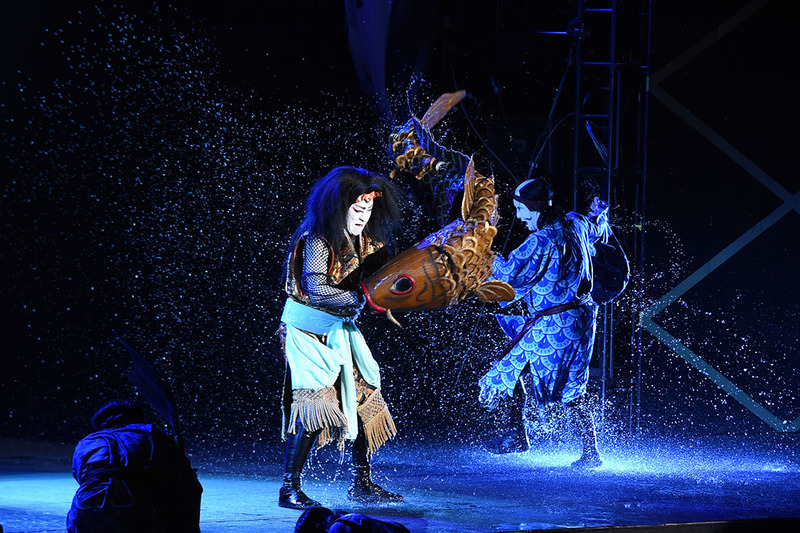 The 30-minute production culminates with a dramatic clash between Somegoro and the carp from an impressive 165-foot stage constructed on Lake Bellagio. 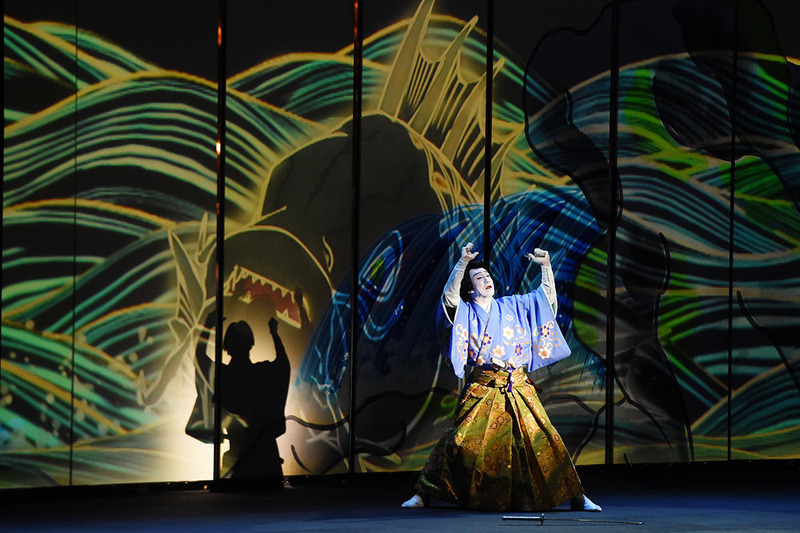 Shochiku, the world’s premier Kabuki producer and global ambassador – with artistic partners Panasonic, teamLab and WET and support from MGM Resorts International – aims to raise worldwide awareness for the art by orchestrating an elaborate, high-tech performance unlike anything Las Vegas and traditional Kabuki have ever seen. 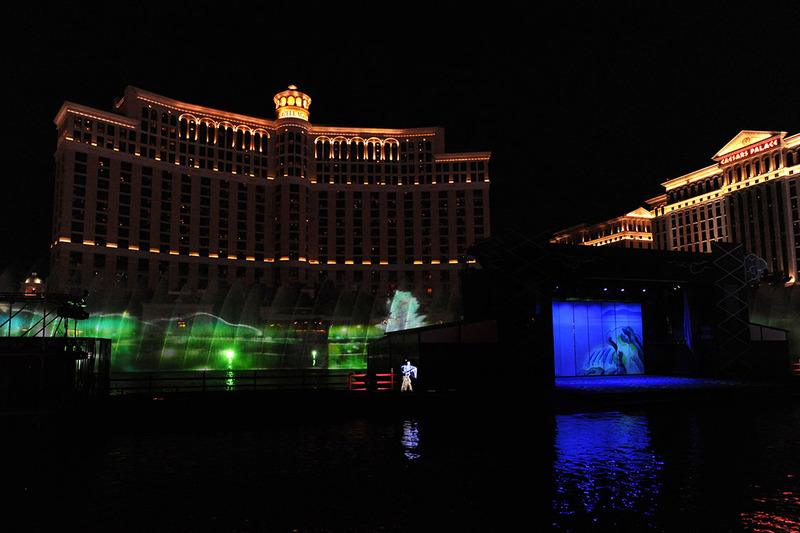 Water screen projection by Japanese artists and masterminds teamLab, Panasonic’s state-of-the-art digital technology and spectacular water effects by WET bring the historic Japanese narrative to life in a Vegas-style production.